Sentimentally, nostalgia in action, I wish that I could say that the Quad Stereo was not just really good but was a one- and- only amplifier in its power range. But in fact there are other really good amplifiers, really good in the sense of being really truthful, the only sense in which I am interested in really good myself, in roughly the same power range, the Benchmark being an obvious competitor for example. Interestingly, the Benchmark uses a feed-forward circuit that in general terms is related to how the Quad works. In any case, the Quad is not alone. But it is surely a very fine amplifier indeed. For what it is worth. PS and I part company on its relationship to the Quad 909 (and all other previous current dumpers). I think the Stereo brings the current dumper design to a higher level than before without any question, though I admit that if one likes the character of the earlier ones, then indeed this specific character is diminished. The Stereo is less idiosyncratic, but it is also better in my view. To me, the 909 just sounds rolled off in a way that the Stereo does not. The Stereo retains the effect, all to the good, of not emphasizing the problems that lots of out-of-band energy can cause, high frequency transducers being as they are, namely often badly behaved out of band. (This can cause audible problems lower down). This can be a real advantage, depending on which speakers one is using. The Stereo sounds calm and controlled in a way that not all amplifiers of extremely wide bandwidth do. To go into a bit more detail: Of course ideal stereo has infinite bandwidth at all stages for the minimum phase parts of the chain, because any roll-off inevitably induces some phase nonlinearity in the audible band, however slight it may be. And it is really and truly inevitable—this a mathematical matter. But in practice, any, perhaps even most, speakers behave rather better if one does not drive them hard out of band. Tweeters get nasty way high up in many cases, and the nastiness can intermodulate down. It has been remarked on occasion that CD digital in a sense has an advantage over wider bandwidth systems for that reason—that the tweeters are not exerting themselves way on out and opening up possible trouble in the audible band. Life is full of compromises. In practice, I have had quite often the experience that the older current dumpers could make the top end of metal dome tweeters in particular a lot easier to take, presumably because they supplied less energy to the nasties in the tweeter, out of band. If you are doing research on the effects of digital filters or the like way out there then you better have as broad a bandwidth in amplification as available. But if you are listening to music using a tweeter which is less than perfect forever on up—and that would be all of them, wouldn’t it?—then a certain roll-off way on out there might actually be an advantage. In any case, the Stereo does go out quite far, but it seems not to exacerbate tweeter problems too much, presumably because its top end is well behaved not only in band but also out of band and is not excessively extended. The Quad Artera Stereo is a very fine amplifier indeed at a reasonable price. I would definitely put it on my short list in this power range. And if it has just a feathery touch of the old Quad current dumper sound, well, that might, as noted, be a good thing! I am happy to see the dream of my comparative youth come true. And I enjoyed my time with the Stereo, every minute of it. 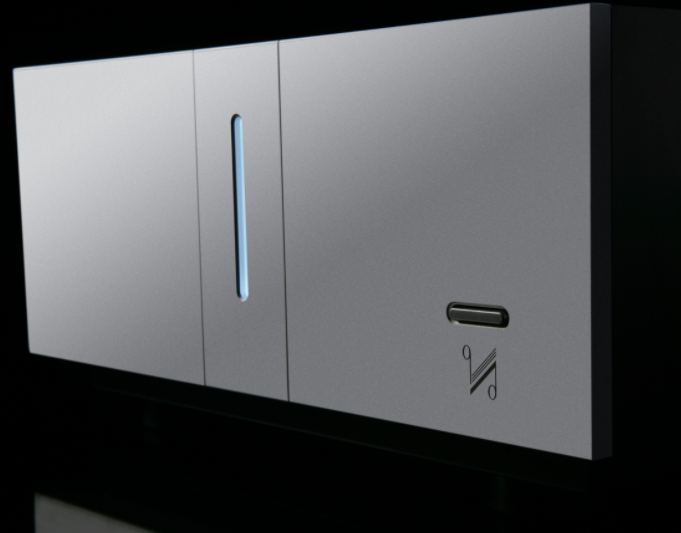 The situation of the Artera Play—the preamp, DAC and CD player combined unit that is the companion piece of the Stereo—is more complicated, but at the same time perhaps more interesting. The Stereo has an unusual circuit, but in practice it behaves just as one would expect a stable, low distortion, medium-bandwidth amplifier to behave. But the Play unit is actually operationally different from the ordinary CD /general digital unit. By operationally I do not mean how you get it to work (primarily by remote control). But the Play offers a feature that is all but unique, though it may someday become common. Namely, it offers a choice of the filtering for its output. Digital signals when being converted into analog signals to drive analog-input amplifiers need to be filtered or at least such is the prevailing wisdom. (In principle, one could let one’s ears do the filtering if one did not mind driving one’s tweeters really hard at out of band frequencies) Ordinary digital devices contain filtering, but it is not usually discussed in public. It is built in and the user has no control over it so a lot of users may not even know it is there unless they have read somewhere that it is and indeed, in the usual perception, has to be.